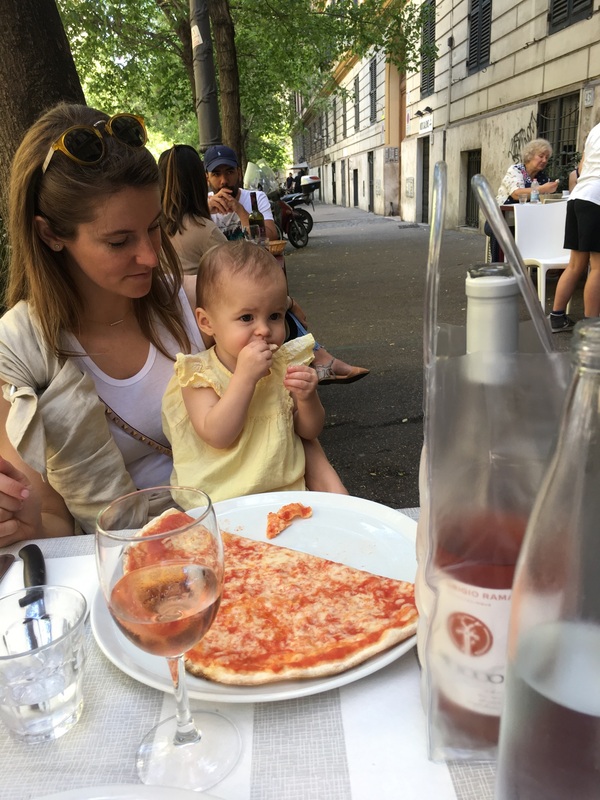 We spent two weeks in Italy and I wanted to share our itinerary and links to the places we stayed and the tours that we took and some honest thoughts on our experiences. 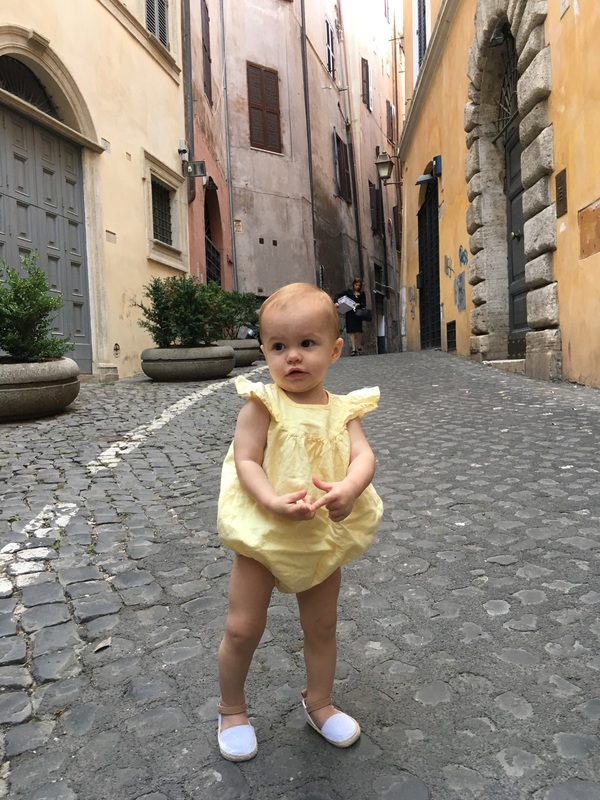 This post is not specific to traveling with a baby, but I will make separate notes about traveling with Cora in each of these places and how easy or difficult it was. 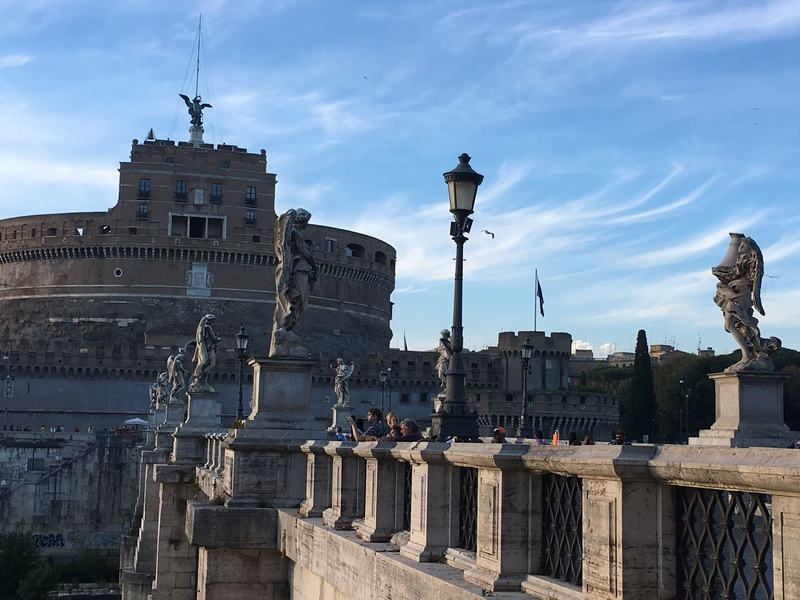 We flew into Rome and arrived early in the morning. 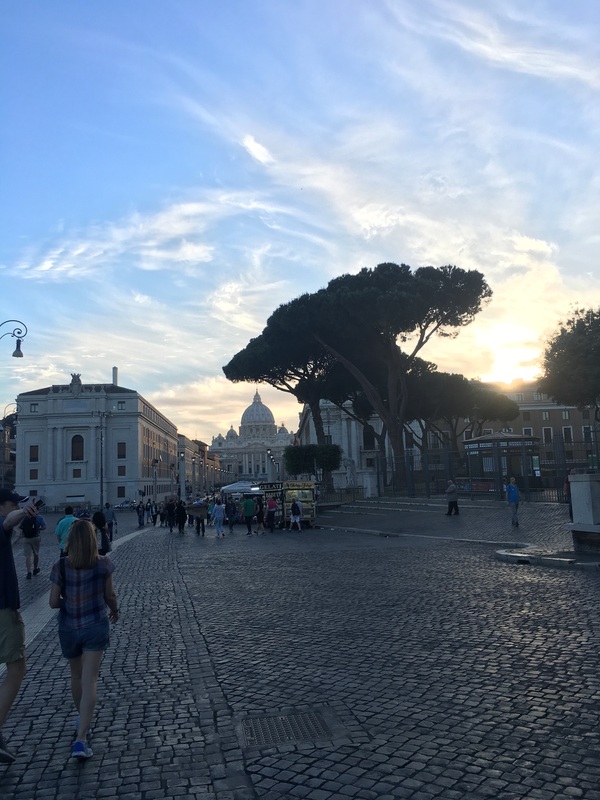 We met my sister and her fiancé who had flown in from San Francisco, all jumped in a cab and drove to our Airbnb that was located near the Vatican. We did lots of research on where to stay in each of the cities we stayed in. The Vatican area seemed to make the most sense for us because while it is touristy during the day, it is pretty quiet in the evenings. 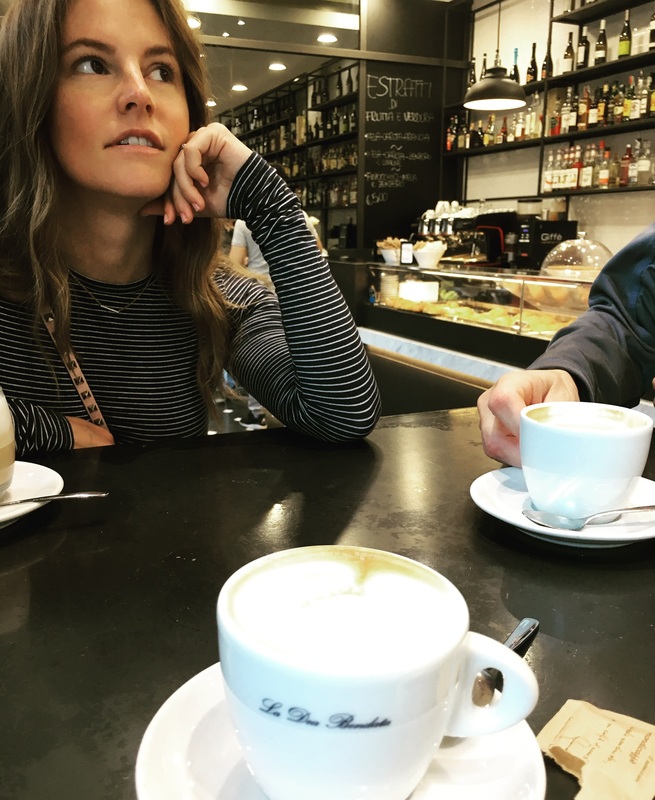 We were a 20 minute walk to the Vatican and there were lots of great cafes and restaurants. 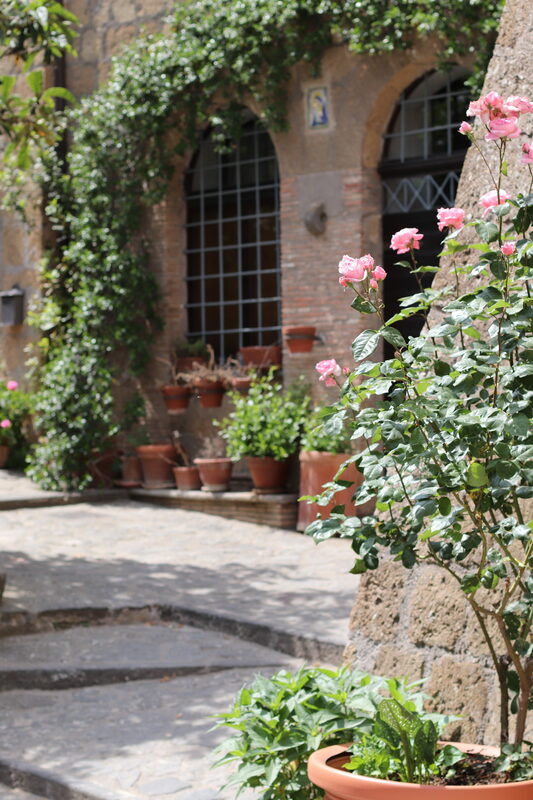 We stayed here: Airbnb in Rome. We had a great experience. 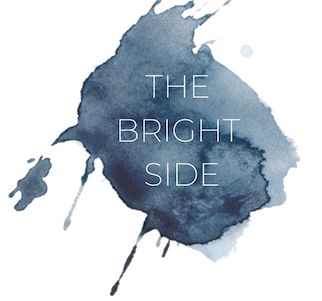 The hosts were very responsive, answered my texts quickly and helped us find an affordable cab service. This is a guesthouse with four separate rooms, each with a bathroom and a common area. We rented the entire place because we had so many people. Baby Friendly? – I give this place a 6 out of 10. The hosts were SO awesome and helpful and brought a great crib and everything. And it really was fine to have Cora there. The big issue was the massive and steep staircase in the middle of the apartment. But they don’t market themselves as being a baby-friendly Airbnb…it just worked out best for our large group to stay there. We picked this tour. 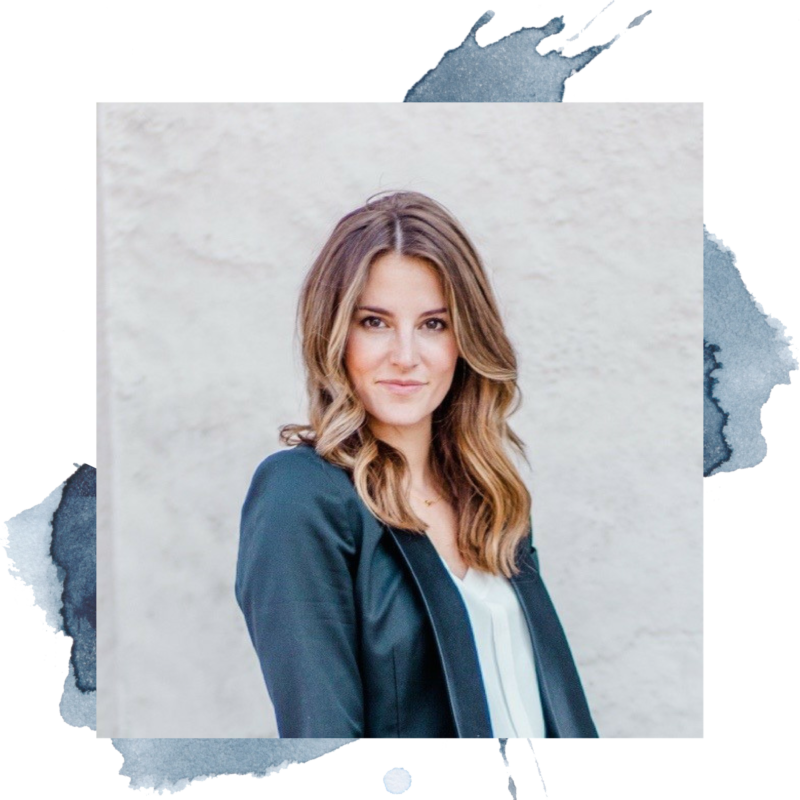 It was designed for families with children, and the reason why I chose this one was because I figured if Cora started getting fussy, a family with children would not mind so much. Plus this tour got GREAT reviews. This was by far our favorite tour of the trip. I would recommend this tour to anyone…but especially if you have young kids. Our guide divided us into teams and made a game out of learning everything we were seeing. 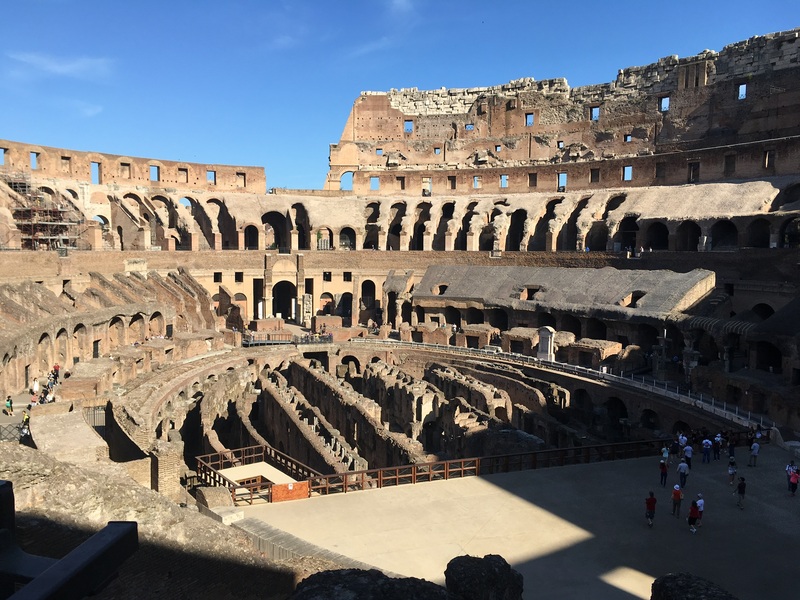 The tour lasted three hours – we saw the Colosseum, the Forum and Palatine Hill. Baby Friendly? : YES! 100%!. 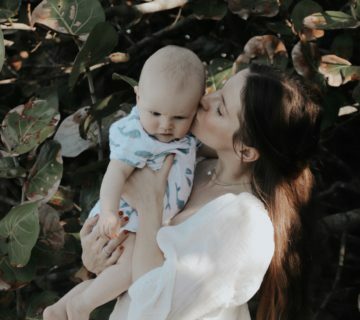 Just bring sunscreen and a hat for the baby and use a carrier rather than a stroller. 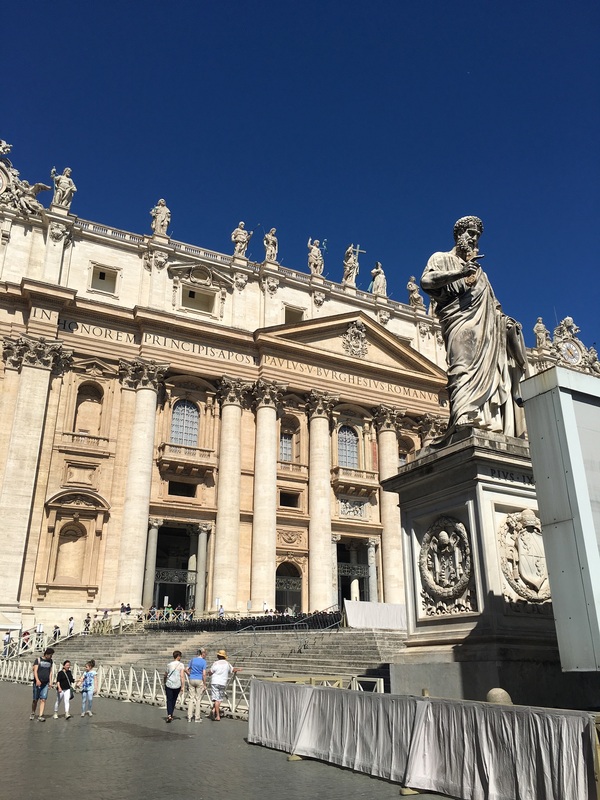 We went here: Toured the Sistine Chapel, the Vatican Museum and St. Peter’s Basilica with early access to the Sistine Chapel. Do this. We specifically used this tour. The Sistine Chapel is so awe-inspiring. It was one of the highlights of our trip. A papal priest came in and said a prayer and then said that he would stand to the side and hear confessions if anyone wanted to do that. I brought Cora over to see him and asked if he would give her a blessing. It was truly one of the most remarkable experiences of my life. Baby Friendly? : Absolutely! The only area that might be an issue is the Sistine Chapel because they ask you to be quiet and speak in hushed tones. Cora actually fell asleep in here so we didn’t have any issue, but if your baby started crying inside the Chapel I would walk out until he or she calms down. Checked out this castle. Parks, good restaurants and gorgeous bridges surround it. 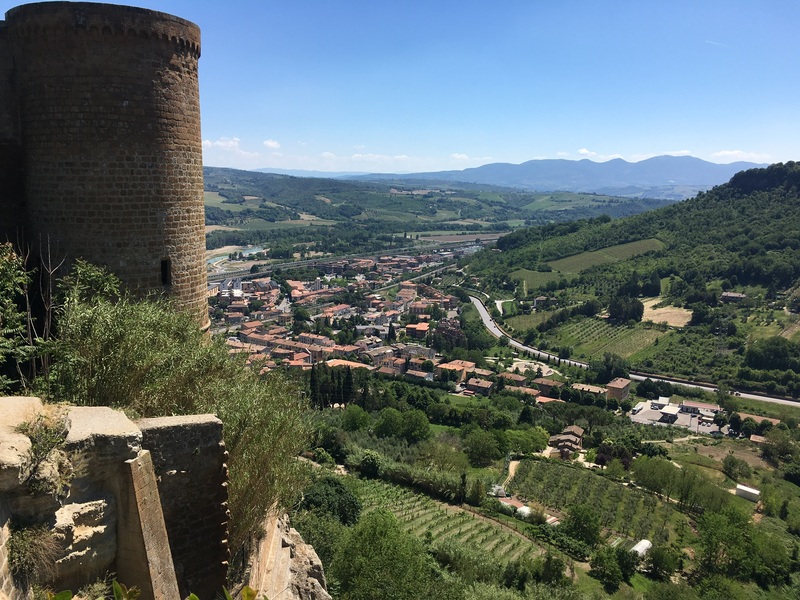 We drove through Orvieto on our way to Todi. 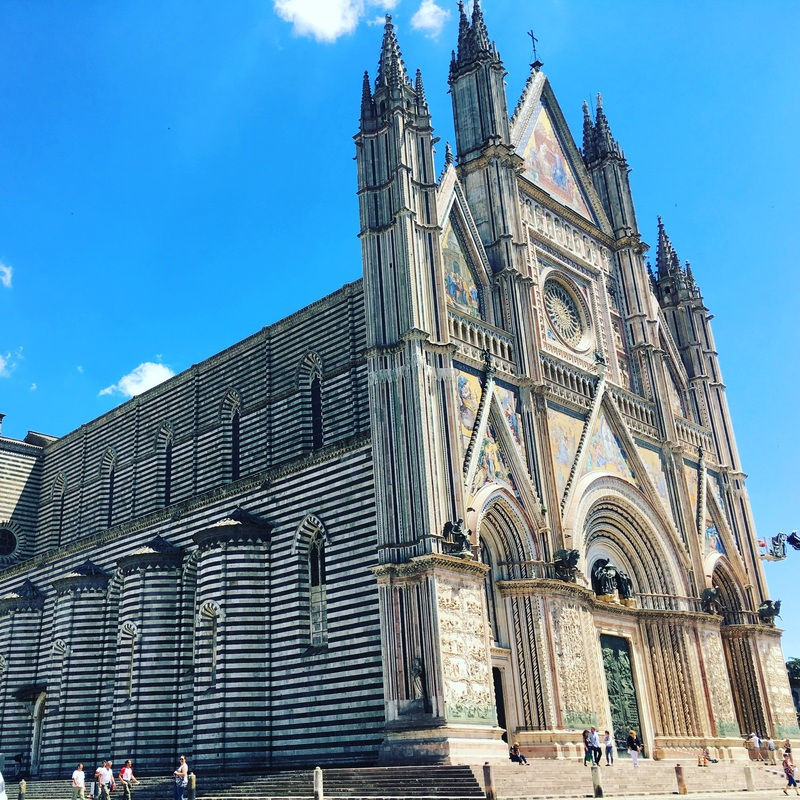 Orvieto was a major city during the Etruscan era and then remained an important area as it controlled the road between Florence and Rome during the Middle Ages. We walked around the town, fell into a gorgeous little restaurant for lunch and then walked to see the Duomo there. There are tours that you can take through the famous underground tunnels that are supposed to be really cool, but they were not open while we were there. 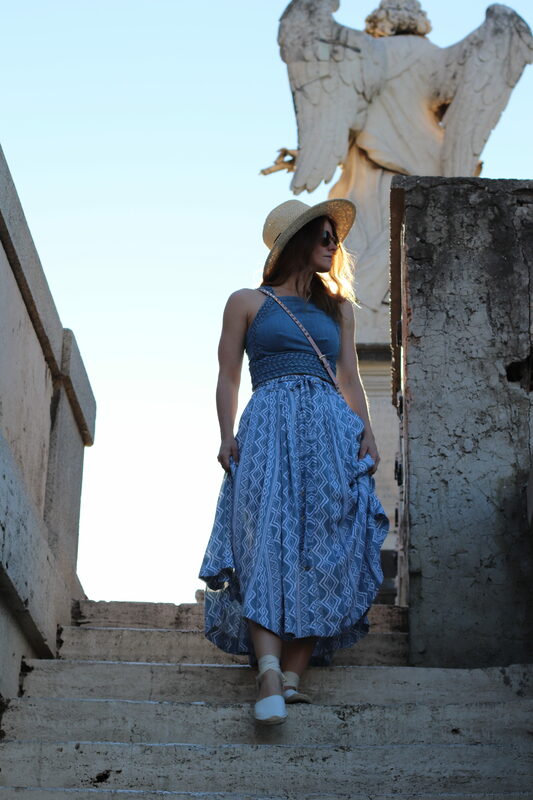 There are also just gorgeous views all around the city since it sits so high on a hill – lots of cute lookout areas and little gardens. Baby Friendly? : Definitely. Restaurants have high chairs and will bring out bread early for the baby. 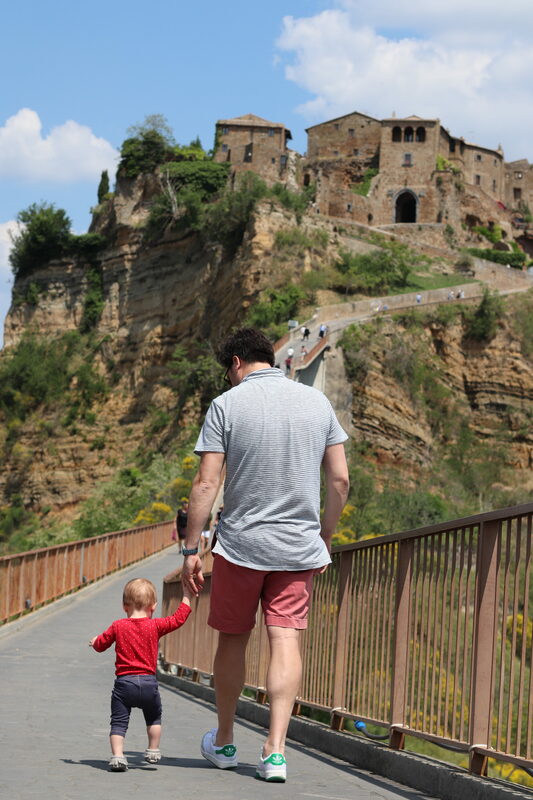 Some of the roads and walkways were a little steep, but I think you could easily use a stroller in Orvieto. Pack a baby carrier just in case. 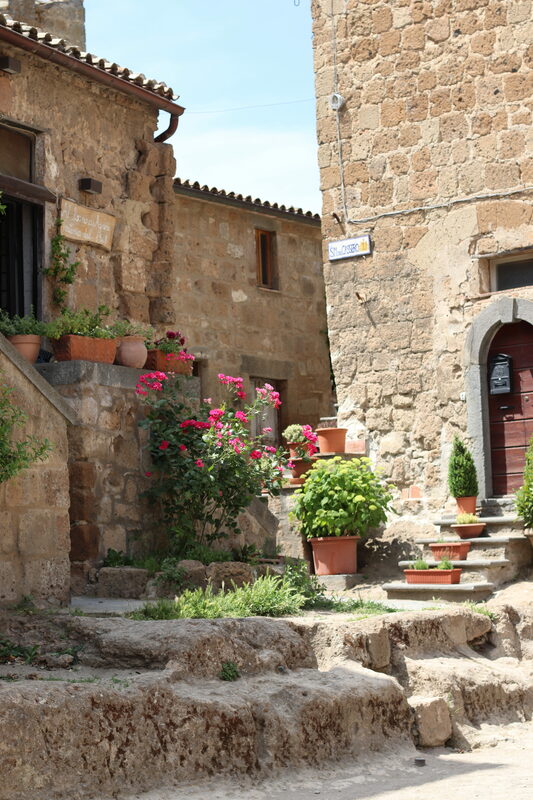 One of the most charming towns I have ever been to. 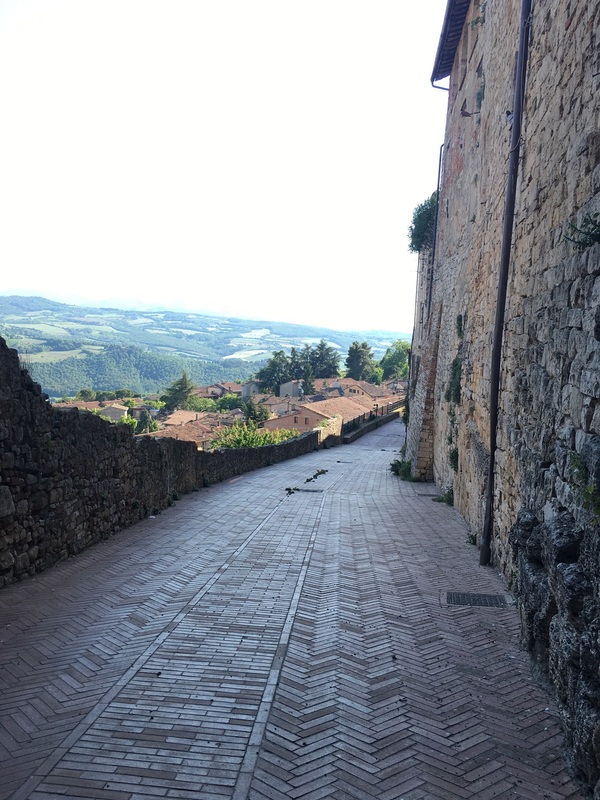 Legend has it that Hercules built Todi as he killed Cacus, the fire-breathing giant. 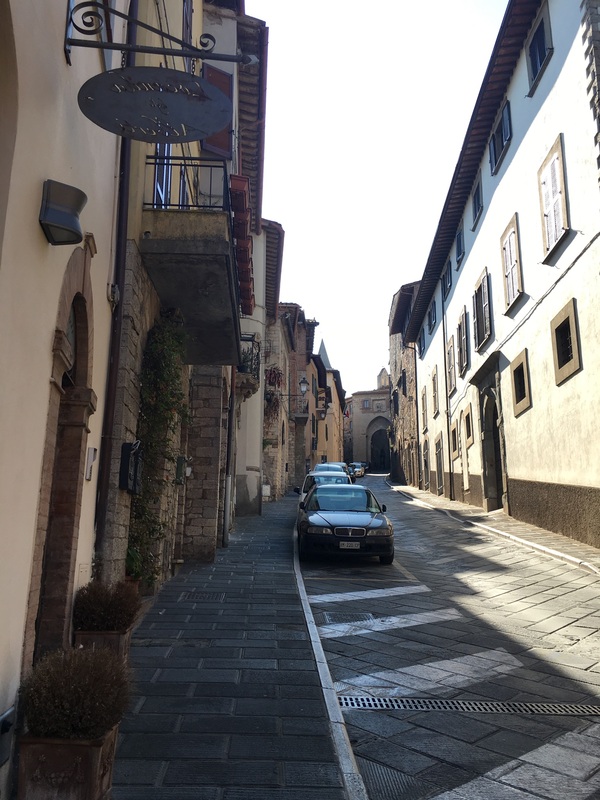 It is very hilly, the roads and walkways are steep and we found that not many people here spoke English, so minimal Italian for ordering food was useful. 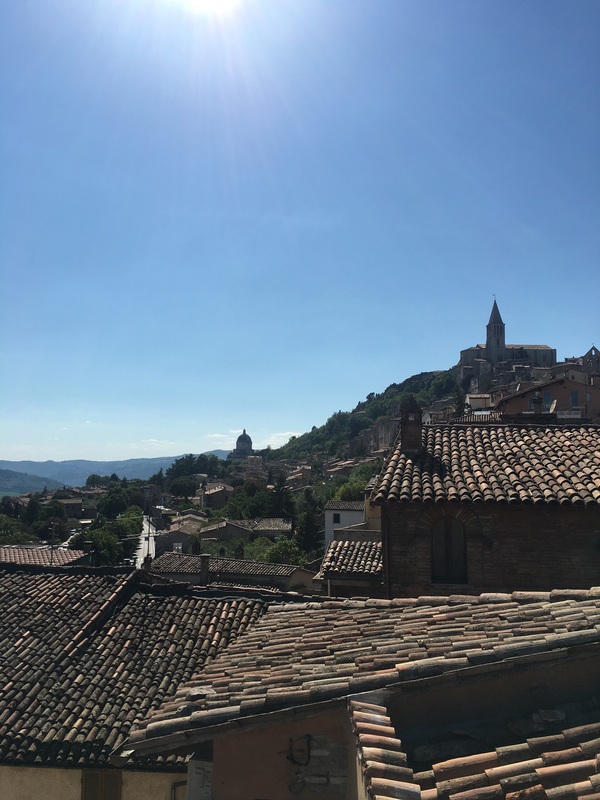 We stayed here – a darling, two-story apartment with a super fancy rooftop. The photos don’t do it justice. Our hosts were actually out of town, but we communicated easily via email and they had someone local give us the keys and help us with parking. Baby Friendly? : Our Airbnb was definitely baby friendly. 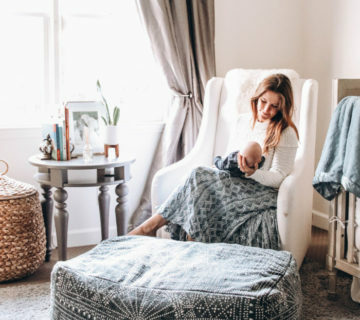 The owners just had a baby themselves so they were great about walking me through (via email) what to expect and what baby items they had in the house. They had a pack n play with a mattress and sheets and blankets, and even though the apartment was three stories, doors separated the living areas from the stairs so Cora could run around without us worrying about her. 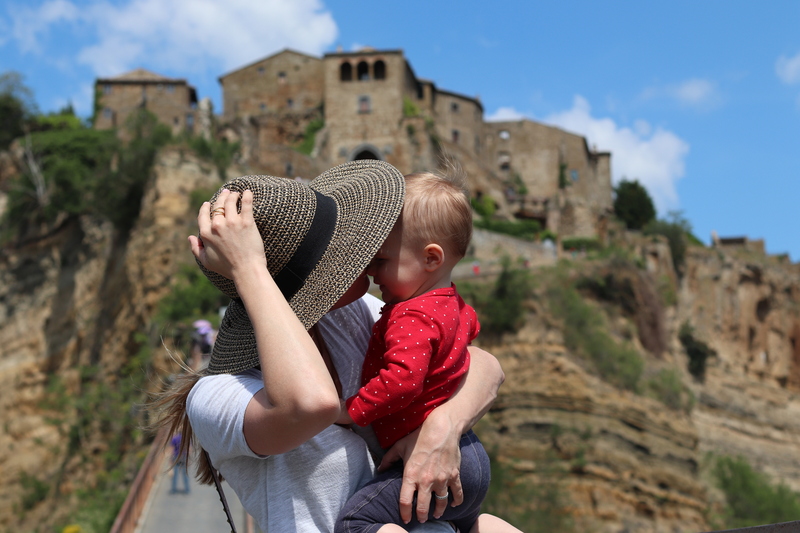 Todi was very baby friendly as well. This is not a touristy city so locals know that you are traveling and they could spot Cora from a mile away. Everyone seemed very happy to have a baby around. The roads are CRAZY steep and narrow. I think I used a stroller once and regretted it. I would definitely just use a carrier here unless you have a very lightweight stroller that has good breaks. 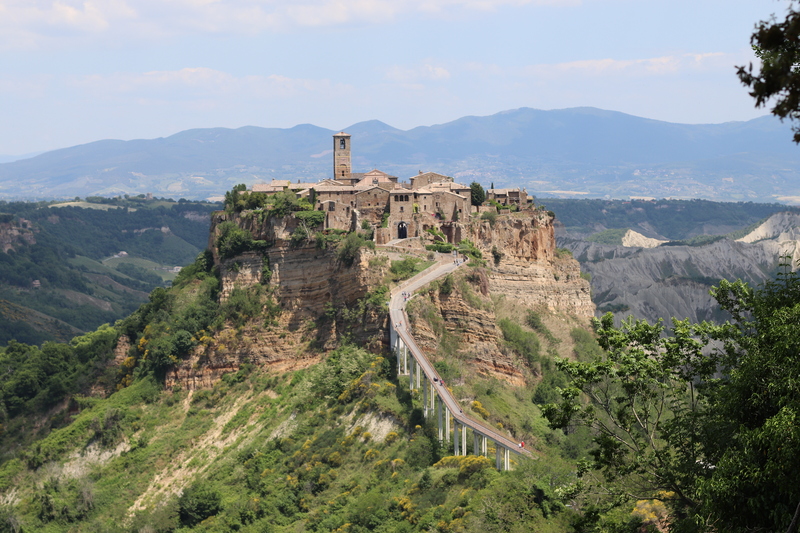 Civita was just a quick stop on our way (a little out of the way actually) from Todi to where we stayed in Tuscany. It was WELL worth the stop though. It is a bit of a hike to get from where you have to park to finally reach the castle, it is like stepping back in time. We stopped at a little cafe inside the castle for wine and snacks and it was magical. Definitely stop if you are planning on traveling in this area. Baby Friendly? : Meh…I won’t give this a full-blown yes. But it’s not not baby friendly. Definitely no strollers. There are railings along that walkway that no baby could possibly get through or over, but it is still a little sketchy. We held Cora and did not actually bring a carrier on this day, although we did see a handful of parents bringing babies or toddlers in backpack carriers. 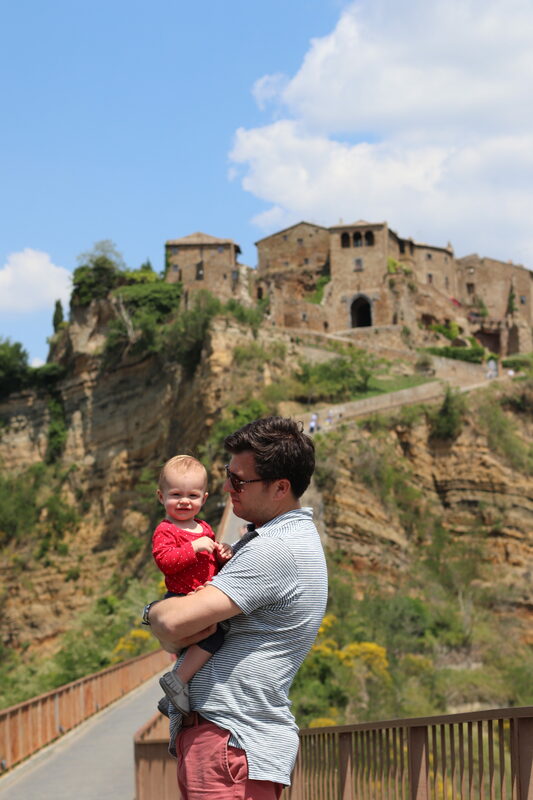 I’d say still check Civita out if you’re traveling with a baby – this just is not a place you will want them wandering around. 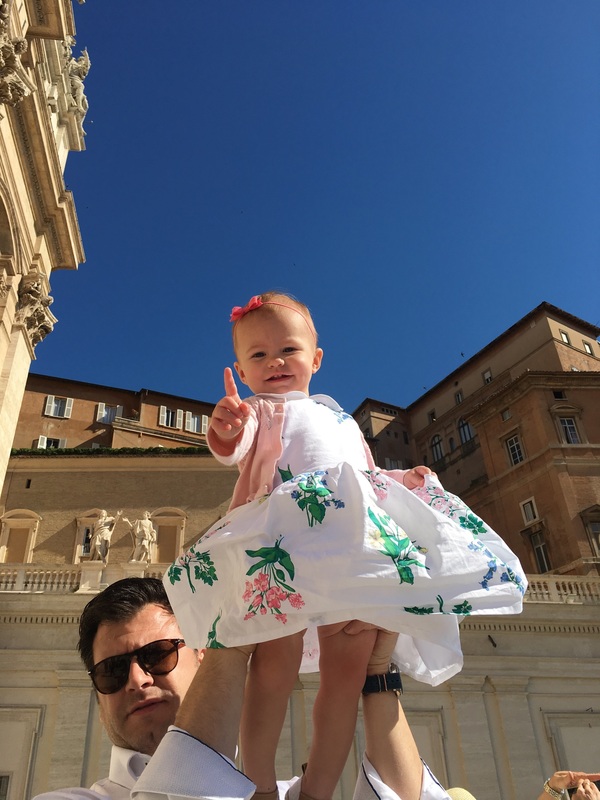 Comment below or send me an email if you have any questions about this portion of our trip or about traveling through Italy with a baby. emily.brunotte@gmail.com.